Since people of virtually every fitness level can participate, golf tournaments provide the perfect backdrop for everything from casual conversation to fierce competition. And with 24.1 million self-proclaimed “golfers” in the U.S. and some 800,000 tournaments held each year, the events appeal as much to small non-profit organizations as multi-national corporations. One of the reasons golf tournaments are so popular among players is because they appeal to golfers of all levels. Beginners have just as much chance at claiming victory as seasoned professionals, since foursomes are specifically assembled to evenly distribute talent. Conceived to raise funds for teaching the deaf, The HEAR Center Annual Golf Tournament has been the mainstay of the center’s fundraising efforts for 33 years, raising $750,000 during that time. The Southern California grief support group, New Hope, exceeded their goal with their first golf tournament, Fore Hope, collecting $30,000 through tournament registrations, a silent auction and sponsorships. The Fidelco Fall Classic is an annual charity golf tournament that benefits a New England guide-dog school. The three-year-old event is a significant revenue generator for the foundation, having raised $12,000 its first year and $20,000 the second. The event is sponsored by Stanley Corp., makers of Stanley tools, a partnership that has connected the foundation to a host of other companies. Download your FREE Golf Promo Ideas Here. The Goal Line Football Club at a Division I college holds an annual golf tournament to raise money for non-school funded items. This year, with the funds raised, they were able to upgrade the equipment room and fund a new video-editing machine. Local companies sponsored the events and co-branded with the university on golf balls, golf bags and other golf related products. A Division III College holds an annual golf tournament and fundraiser to raise money for their general scholarship fund. In addition to co-branding with the university on golf products, local companies also donated premium gifts for tee prizes and a silent auction. On Target Promotions is a national promotional products agency based in Riverside, California. 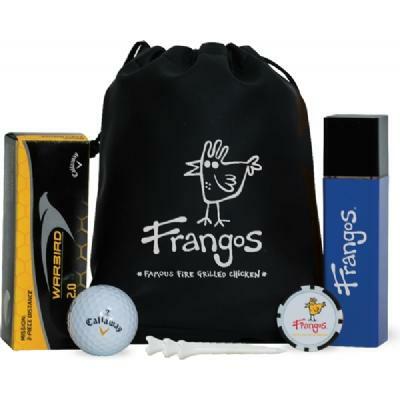 We help clients use promotional products along with other media to design and secure quality promotional programs that meet their goals and exceed their expectations. Since we believe nothing is a greater reflection of success than a repeat customer, everything we do is designed with our customer in mind. Your focus is our goal. 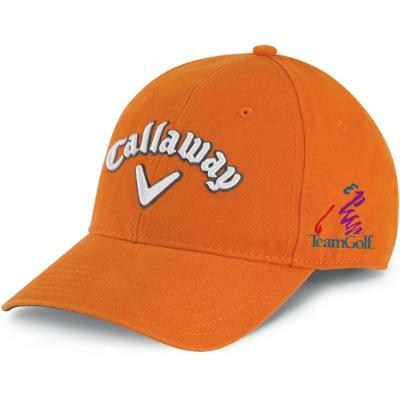 Call (951) 682-8427 or email us to order golf-related (or any other) promotional items.